You can watch that as many times as you like. It's like a symphony, is that. All will be included in the forthcoming anthology "New Short Stories 4". There will now be a very long wait till the results event when we'll be revealing which story takes the prize mug. 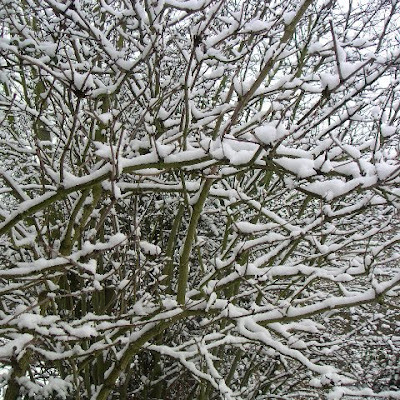 The date could be as far ahead as end of March I'm hearing*, which I know is a long drag but at least spring may have arrived by then. Meanwhile here's to the short story. Cheers! 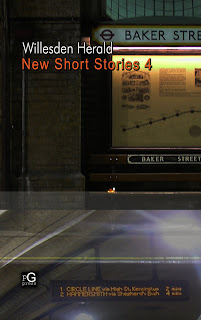 * New Short Stories 4 launch and results announcement: Saturday 10 April, The Charles Dickens Museum. Invitation only. The special chimney has been fixed to the roof of Herald House and the cardinals are voting. White smoke will indicate making tea. Black smoke will indicate making toast. We will not announce the winners till the results event, but we will announce the shortlist before then. At all events not long till the shortlist but not short till the long event. We never make things simple here in Willesden, the new Byzantium. What's on David Bowie's iPod? Music Culture The Observer "The pop master gives us an exclusive peek to mark the release tomorrow of A Reality Tour, the live double album of his acclaimed 2003-4 world tour"
You can play David Bowie's current favourite iPod tracks courtesy of Spotify, which has his playlist here: http://bit.ly/6oTqwp. A long way from sheet music? Just popped in to let you have a quick update. I'm hoping to send the final list to the judge by the end of this month (January 2010). Finding some great stories - thanks everyone. Best wishes & donate to the Haiti earthquake appeal! (a) Disasters Emergency Committee. (b) Save The Children. And maybe next door hears it too. That is the end of my day. In the foreground, Gordon "Rocky" Brown, face a gory mess, jaw broken, is in the arc of a death-dealing haymaker up to the smirking, unseeing face of dancing "Apollo No-Creed" Cameron, with Round 15 on the signboard and 30 seconds on the clock. BBC iPlayer - Prime Minister's Questions: 06/01/2010: "Live coverage of questions in the House of Commons to Prime Minister Gordon Brown. Broadcast on:BBC Parliament, 12:00pm Wednesday 6th January 2010 Duration: 30 minutes Available until: 12:29pm Wednesday 13th January 2010"
The creepiness of David Cameron. He actually makes my skin crawl with his egregiously personal and unprofessional comments and demeanour. The situation is desperate. The city is snowed under. The barbarians are at the gate. All will be laid waste come spring. Send reinforcements. Boundary changes have trapped our beloved Thurberesque Sarah Teather across the border. Now we're depending on Glenda Jackson but she needn't bother running for re-election. Oh god it will be a massacre. I can't stand Cameron. Help! "Downing Street took some time to marshal its response to the well-kept secret of the Hoon/Hewitt démarche. By mid-afternoon, however, ministers began to issue statements of devotion to the Great Leader. Before long, the list was an impressive one. Ed Balls's support was to be expected. So, for the most part, were Shaun Woodward's, Alan Johnson's and Alastair Darling's – though the latter was not entirely lavish in his praise of the man who tried to sack him last year." A real report in a real newspaper. Cherish.